ATLIS publishes articles of thought leadership and practical application of technology in independent schools. Each issue focuses on a specific theme. For more information, contact Susan Davis, [email protected]. Leadership does not simply alight on our shoulders when we are promoted to positions of so-called power and authority. To become competent and knowledgeable leaders of technology in schools requires our full attention to developing critical literacies in a number of areas, including vision-making, communications, empathy, and empowering others, among a host of other important skills and roles. For the Fall 2019 edition of Access Points, we invite you to submit your article ideas for consideration. Articles can vary in format from extended scholarly research to personal anecdotes or case studies. The following topic suggestions were generated by the ATLIS Publications Advisory Board. This list is meant to help you generate ideas. We encourage you to use these as a stepping point for your own approach to the journal theme. Interested in writing for ACCESS POINTS, but you are not sure where or how to start? 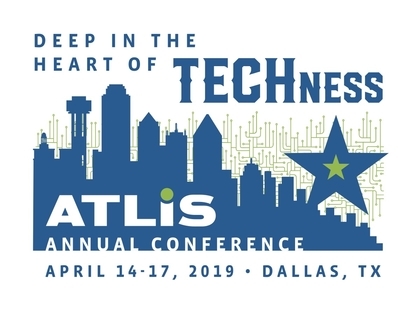 Renee Ramig, Access Points editor, and Susan Davis, Professional Development Director for ATLIS, are offering a 3-hour writing workshop for the journal on Sunday, April 14, at the ATLIS Annual Conference in Dallas. See below for more information. Are you interested in writing for the ATLIS journal, ACCESS POINTS, on the topic of growing leadership literacies in technology? We will begin with an introduction to the journal itself, provide brainstorming opportunities on the journal's theme for the Fall 2019 edition, explore different ways to write about your topic, and lead you through a writing workshop for submitting a proposal. Come with a topic in mind or partner with others in the workshop in this unique collaborative writing session. "2 Students Wounded by Gunfire on La. Campus,” Jet 3:13 (4 August 1965). Web.